“I just need a ‘small’ SQL server for this production database.” Many CIOs have come to me making this statement, and are immediately set back by licensing costs. This blog series will present several options to meet this requirement and help tune the decision making process. We’ll discuss SQL Server Standard on different platforms including: On-premise Virtual Server, Azure IaaS, SQL Azure, and at a hosting provider like Rackspace. When my clients hear how much SQL Server Standard Edition will cost to license, they react and attempt to cut corners on the project to reduce costs wherever possible – including the SQL server itself. I guarantee this is the wrong approach! Cutting corners provisioning SQL Server is never something I like to hear. Why? You get you pay for, and downgrading the database should never be an option. Trimming the server hardware will give up a lot of performance to save a relatively small amount of money. Clients always desire minimal downtime but won’t often budget for the pricey SQL Enterprise Edition, here is my “go to” minimal configuration for an on-premises virtual server. The smallest database server I ever build for these requirements has four cores. Microsoft sells licenses in two core packs, but requires a four core license minimum. I don’t skimp on the SQL Server virtual machine (VM) with just one or two cores when I am paying Microsoft for four! Even if the workload doesn’t immediately require four cores, provision them. And when possible, make sure they are the fastest cores available like the Intel Xeon E5-2643, 2667, or the big 2690. If I am building a brand new server I will look for the “v2” version of the same chips for the latest architecture (Fall 2013)! When virtual, I always put the SQL VM on a clustered hypervisor to increase uptime even without a second SQL instance or Enterprise Edition. The server above is a one-time expense! The only on-going costs will be electricity and the always helpful system administrator’s time. If high licensing costs that are due up front are a problem, let’s take a look at Azure IaaS, SQL Azure, or a datacenter hosting provider instead of slashing your server configuration. Look for updates to this blog as the series progresses! To contact a SQL Ninja, email paul @pbitpro.com or call (972) 987-0637. 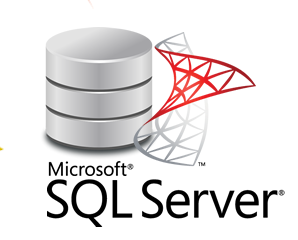 For more information on Microsoft Windows Server and SQL Server, please visit our blog or follow us on Twitter at @pdgb. Next Post Are my Azure VMs in IaaS available enough?